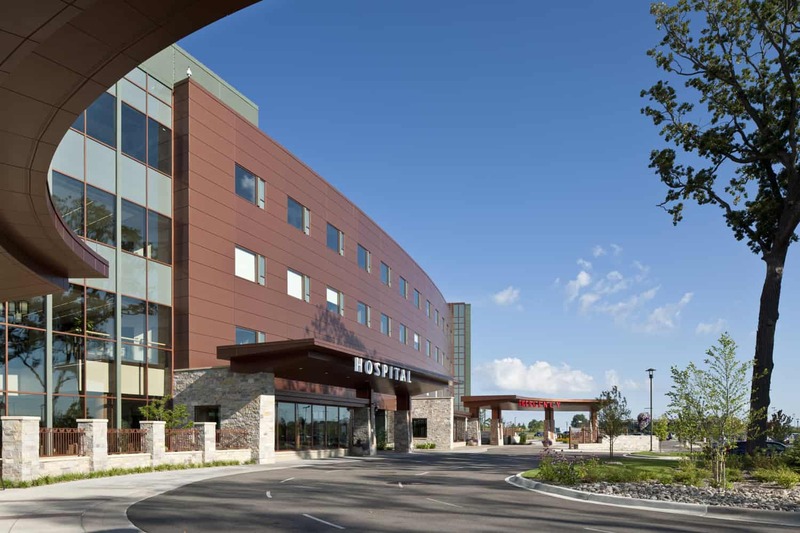 Envisioning a hospital that supports its community the way a grove of trees supports its habitat, the hospital’s leadership seized the opportunity to create a different, patient-centered health care experience during the second phase of a three-phase medical campus anchoring a mixed-use development. 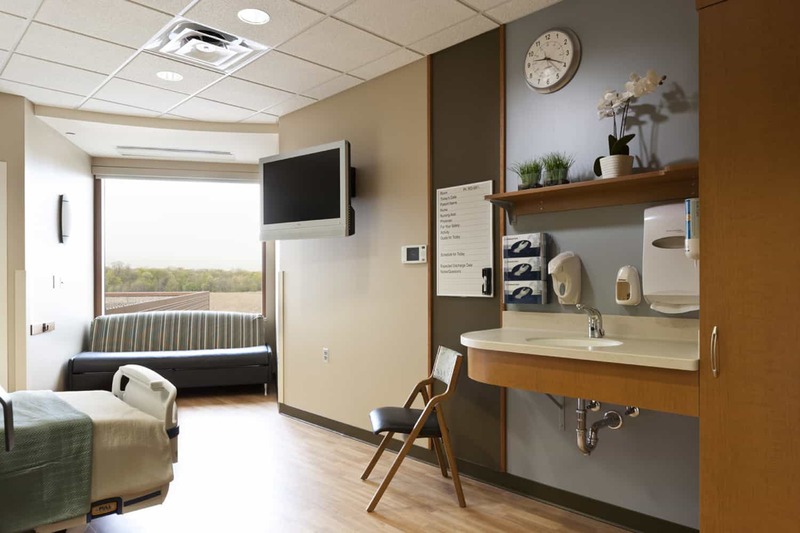 Utilizing lean and evidence-based design, the BWBR team created full-size testing rooms for users to simulate work activities and ensure that the final design enhanced operations and efficiency while proactively minimizing change orders. 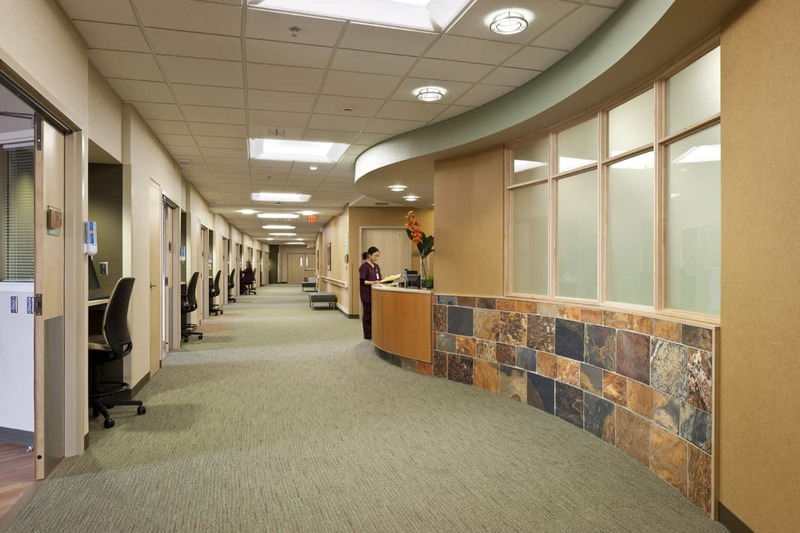 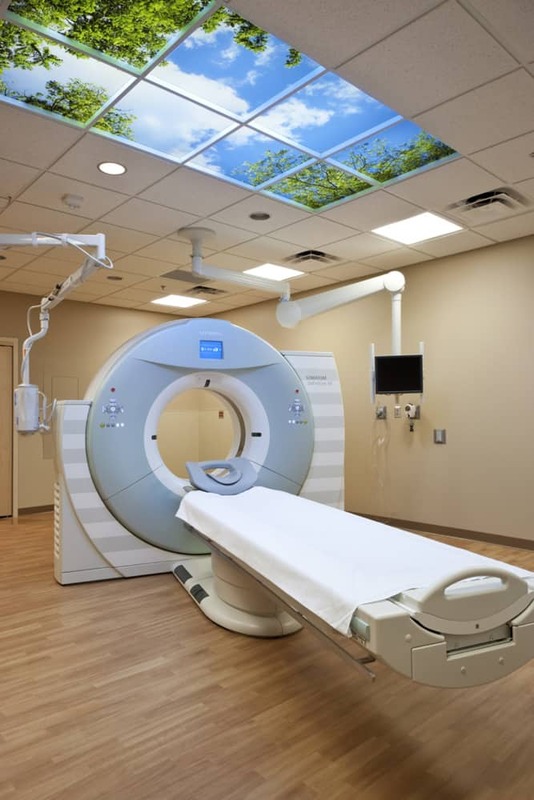 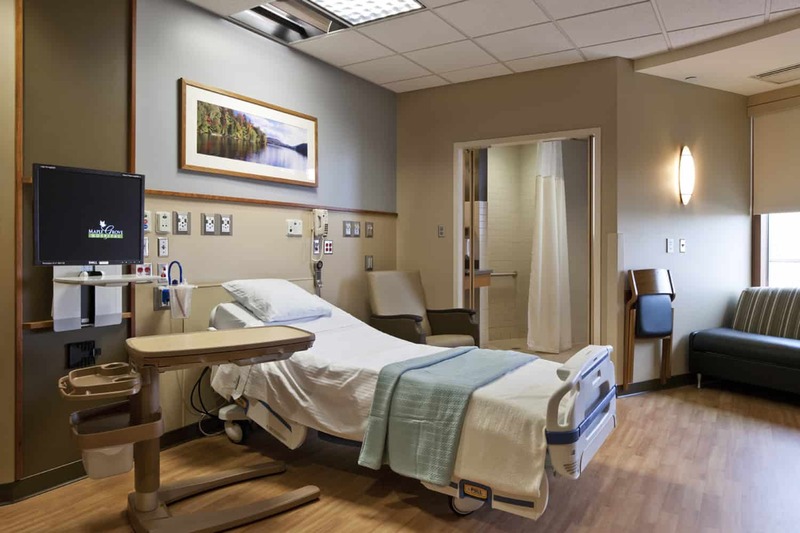 Careful attention to materials management and materials traffic flow led to smooth delivery pathways that avoid disruption to public and patient areas. 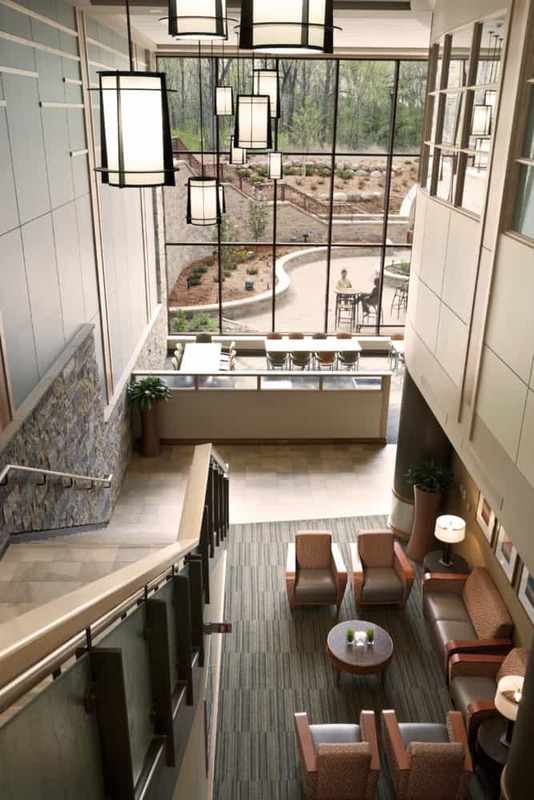 Throughout the facility, imagery, nature-inspired forms and natural materials such as wood and stone blend the building with the landscape and draw the landscape inside. 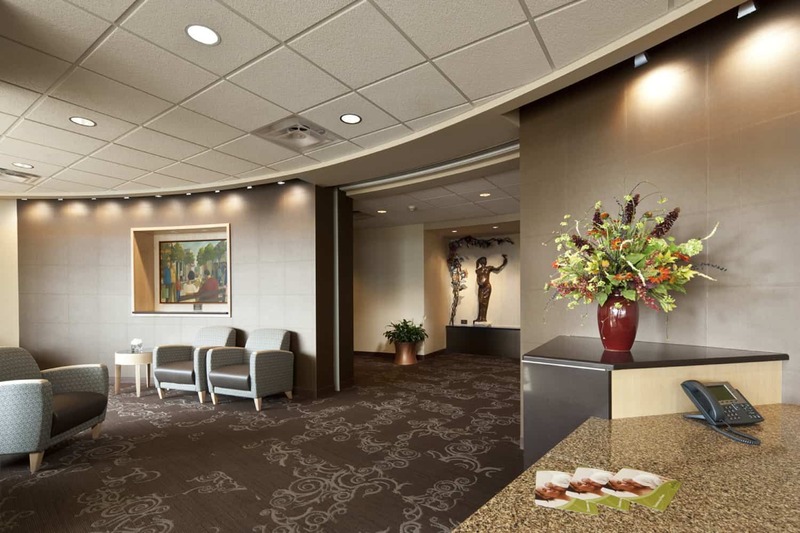 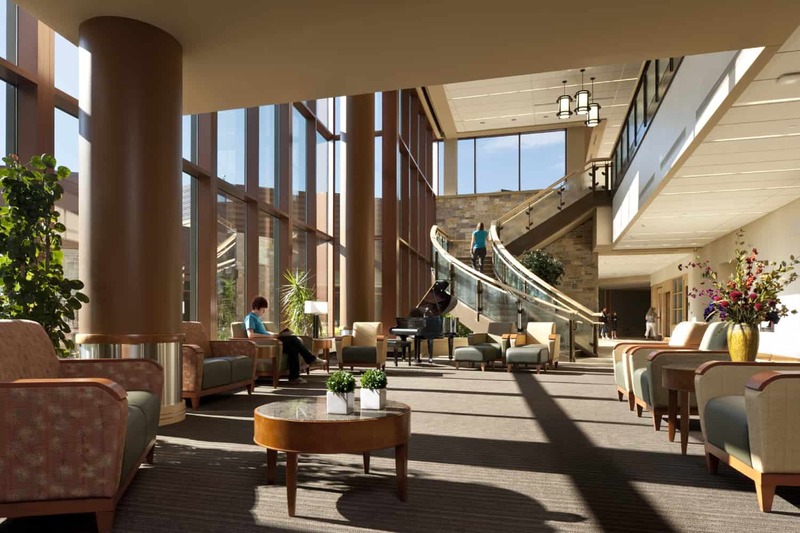 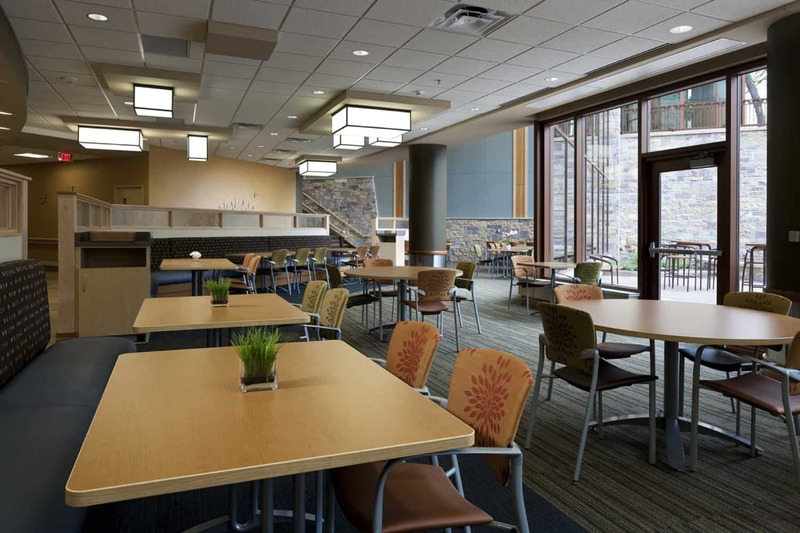 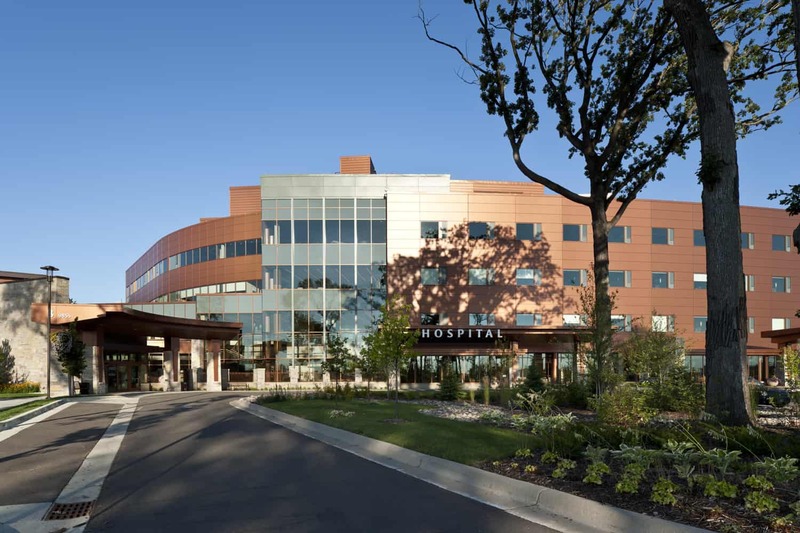 The overall design, using the Green Guide for Health Care and registered with the U.S. Green Building Council, created a hospital in which patients, staff and family can embrace wellness through transformation, growth, strength and support.